It’s another Sunday, and this time it’s a bit different. Here are three interesting hostels you might stay at if you were to visit the cities they live in. It’s always nice to stay somewhere which is a bit ‘different’, escape the normal hostel for somewhere more unique. 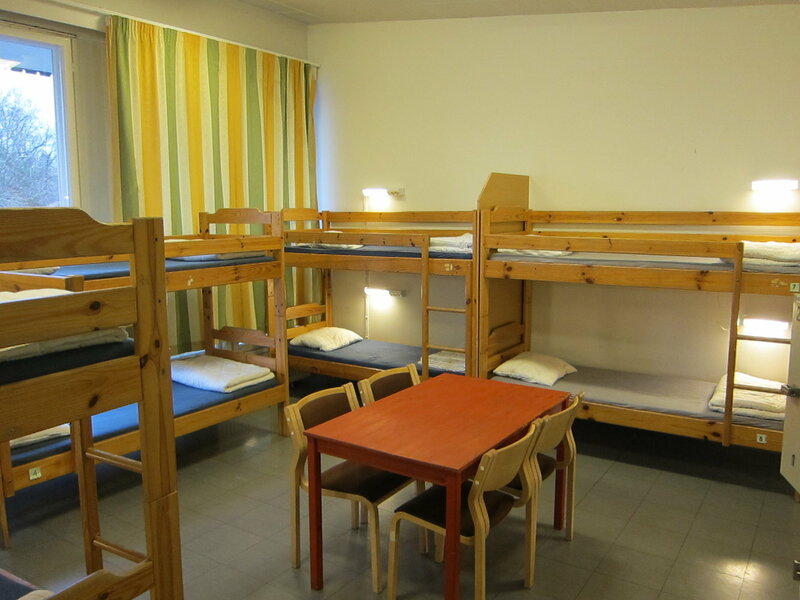 I’ve stayed in two of these three – the other I would have liked to have stayed in but it was booked out when I was in Stockholm. So here is your chance to try a boat in Stockholm, an old prison in Ottawa, and in the actual Olympic Stadium in Helsinki! I mean, it doesn’t get much cooler than this, does it? This ship is from the 19th century and was used to train naval officers back in the day. 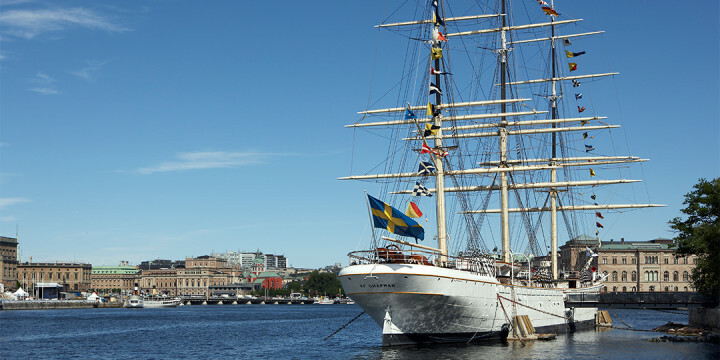 It’s permanently moored in the Stockholm harbour, and is not far from the old town. 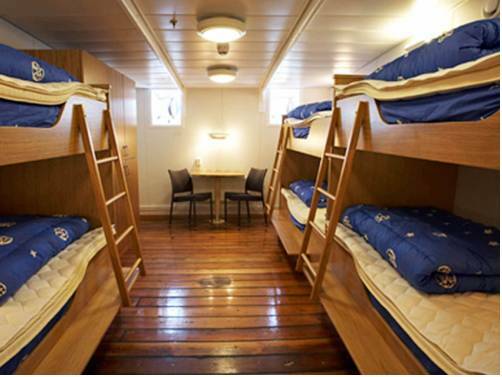 Although the boat dates back to 1888, it has been a hostel since 1947. Apparently the sunsets are amazing up on deck, and the cabins are very comfortable. The more I read and write about it, the more I wish I’d stayed on it! This was the original, it seems there is now another boat hostel experience to be had in Stockholm, the ‘Red Boat Hostel’! And it looks particularly lush! 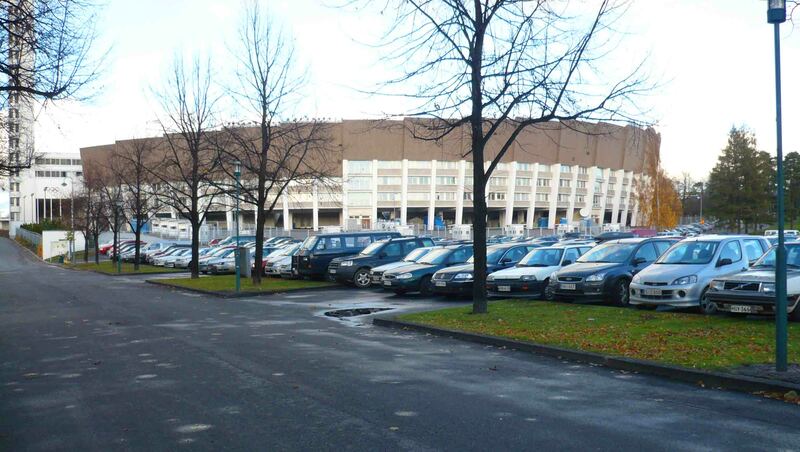 Yes, this one is actually inside the Olympic Stadium in Helsinki. Helsinki is an interesting city, pleasantly located and best visited in Summer. There’s an interesting arts scene and a few museums. The stadium hosted the Olympics in 1952, so it’s been there a while. And the views of Helsinki are pretty good. 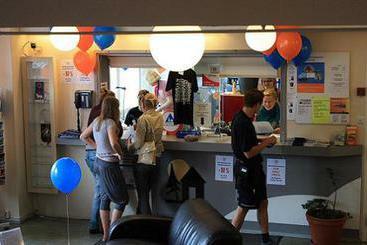 The rooms are pretty large, taking 9-12 beds, and it’s clean and friendly and a great place to meet other travellers. 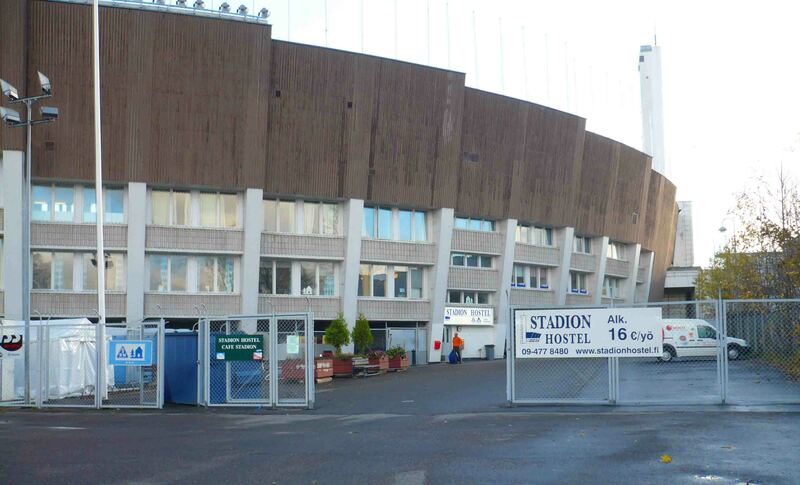 The stadium was built in 1938, and is around 20 minutes walk to central Helsinki, so it’s not in the centre of town but I do remember walking to and from it, although there are buses up to it as well. You may think of Ottawa as not a very interesting place to visit, but actually a few days here is very worthwhile. The parliament and architecture is really interesting, and it has one of the more unique accommodation options you can find – a hostel in an old jail! 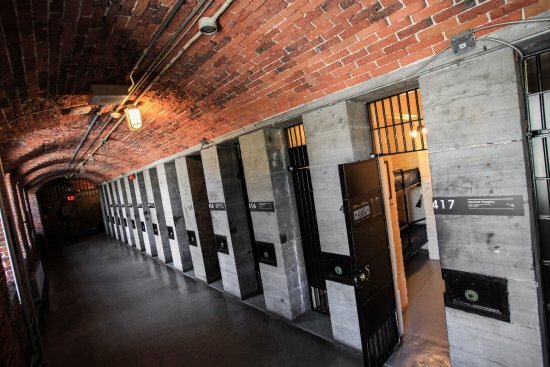 The building was a jail up until 1972, known as the Carleton County Gaol (and you’ve got to love it when jail is spelt the ‘ye olde’ way! 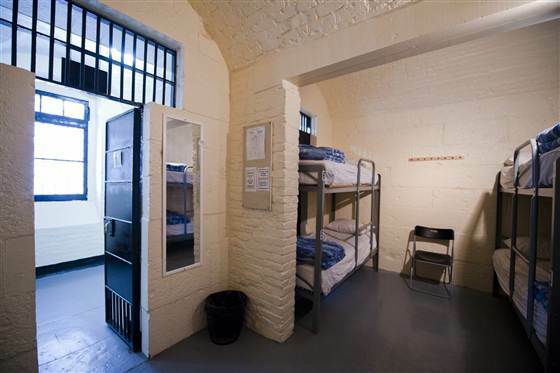 ), and your beds are actually in the old cells. It’s an old-time jail as well, made out of big stones and the like. Obviously, the facilities have been somewhat updated! And now they run ghost tours too. I spent a couple of nights here in 2004, and as far as I remember, I slept well! Searching the web there are so many unique hostel experiences that I didn’t even know about which sound interesting, from tree houses to staying in a railway carriage, to even an old brothel in Amsterdam. 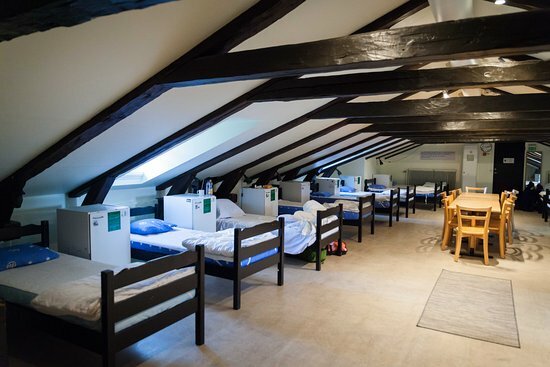 What has been your most unique hostel experience? Please do comment below! And… May the Journey Never End! Haha I would love the jail hostel Andy. Definitely unique as I reckon few hostels doubled as a jail in the past. Yeah theres not toooo many of them! Thanks for commenting!